My Makeup and Beauty Vanity: Saucy Spicy News: Spice Carnival Season 2 is back! Saucy Spicy News: Spice Carnival Season 2 is back! 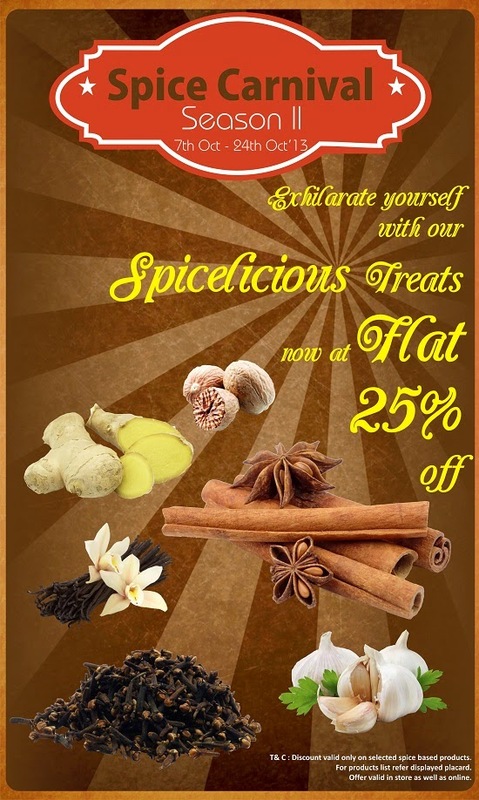 Exhilarate yourself with some spicelicious treats now at a flat 25% off at The Nature’s Co. 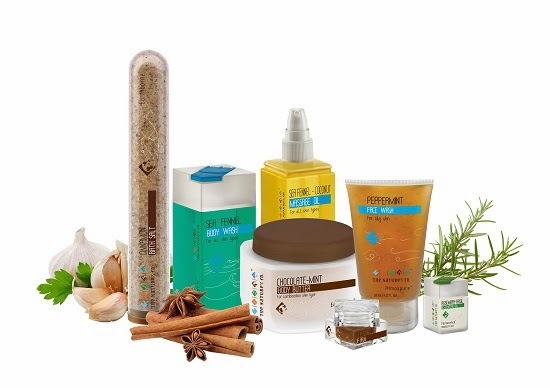 Here comes an interesting combination of natural beauty care straight from the mistress of spices. It emphasizes the age old secrets of Ayurvedic healing passed down from one generation to another, which have been meticulously sourced and recreated in convenient, modern forms that are practical, hassle free and innovative, perfectly synchronising the traditional and the contemporary. Spices and herbs are combined to create intoxicating scents while also having age-old natural benefits for your skin and mind. This range of spicelicious (what The Nature's Co. likes to call it!) personal care productsdeliver both healing and soothing properties that both men and women deserve to indulge in after their hectic lifestyle discern. The Nature's Co. spice rack comprises a vast range of 26 products consisting of skin, body, foot & hair care products from radiance-enhancing face creams to a refreshing variety of shampoos, body wash and vitalizing candles, all at a flat 25 % off! Enhance your beauty and spice up your life with The Nature’s Co. Spice Carnival Season 2 from the 7th of October to 24th October, in stores and online (www.thenaturesco.com).